Draft: 2010, Tampa Bay Rays, 3rd rd. Selected out of Highline High School in Burien, Wash. …as a senior, hit .611 (33-for-54) with 5 HR, 20 RBI and 22 SB…named a first-team All-American by Louisville Slugger as a junior…originally committed to Gonzaga University before signing with the Rays. Missed the entire season following Tommy John surgery in May…began the season on the DL with a wrist strain. Made his major league debut in his sixth pro season and appeared in 3 games with the Rays before he was injured and later optioned back to Triple-A Durham…Made his debut in the 7th inning on April 18 vs. NYY as a pinch-hitter and flied out against Masahiro Tanaka...walked in his next plate appearance in the 9th inning...collected his first career hit on April 19 vs. NYY, a double in the 9th off Andrew Miller…Made his first major league start on April 21 vs. BOS...singled in his first at-bat and was picked off...during the pick-off, suffered a subluxation of his left shoulder and was placed on the disabled list the following day. Activated from the 15-day DL on May 28 and immediately optioned to Durham, where he was on a rehab assignment…At Durham, made 64 starts at 2B and 7 in CF….On Sep 18, underwent surgery to repair a torn left labrum, which he was able to play with during the season...Dr. Koco Eaton performed the procedure…Enters 2016 ranked as the No. 12 prospect in the Rays organization by Baseball America. Enters 2015 ranked as the organization's No. 7 prospect and Best Hitter for Average by Baseball America...also rated by MLB.com as the No. 10 prospect in the Rays system and the No. 9 second base prospect in baseball...Spent the season with Double-A Montgomery and was named the team's MVP by the Rays Baseball Operations department...played 2B exclusively and led off for the Biscuits...Named a Southern League midseason and postseason All-Star...rated by Baseball America as the league's Best Defensive Second Baseman...Named an Organizational All-Star by MLB.com...Led the club in batting (.303), SB (27), runs scored (64) and hits (128)...his .303 avg. ranked 4th in the Southern League and 4th in the Rays system, and his 27 SB ranked 2nd in the Rays system and 3rd in the SL...set career highs with 8 HR and 25 2B...Was one of three Double-A players to steal 25 or more bases and hit .300 or better, joining Jose Peraza (Braves) and Michael Taylor (Nationals). August 1, 2018 Charlotte Knights released RF Ryan Brett. July 20, 2018 RF Ryan Brett assigned to Charlotte Knights from Birmingham Barons. July 14, 2018 RF Ryan Brett assigned to Birmingham Barons from Charlotte Knights. July 2, 2018 RF Ryan Brett assigned to Charlotte Knights from Birmingham Barons. April 27, 2018 RF Ryan Brett assigned to Birmingham Barons from Charlotte Knights. April 24, 2018 OF Ryan Brett assigned to Charlotte Knights from Birmingham Barons. April 2, 2018 OF Ryan Brett assigned to Birmingham Barons. March 17, 2018 2B Ryan Brett assigned to Chicago White Sox. 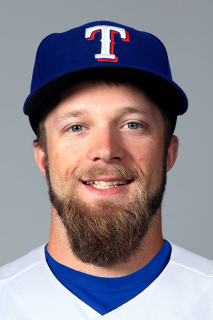 February 25, 2018 2B Ryan Brett assigned to Texas Rangers. January 10, 2018 Texas Rangers signed free agent 2B Ryan Brett to a minor league contract. January 10, 2018 2B Ryan Brett assigned to Round Rock Express. November 6, 2017 2B Ryan Brett elected free agency. September 20, 2017 Durham Bulls activated 2B Ryan Brett from the 7-day disabled list. July 21, 2017 Durham Bulls placed 2B Ryan Brett on the 7-day disabled list. July 7, 2017 Durham Bulls activated 2B Ryan Brett from the 7-day disabled list. June 23, 2017 Durham Bulls placed 2B Ryan Brett on the 7-day disabled list retroactive to June 21, 2017. June 11, 2017 Durham Bulls activated 2B Ryan Brett from the 7-day disabled list. May 30, 2017 Durham Bulls placed 2B Ryan Brett on the 7-day disabled list retroactive to May 26, 2017. May 15, 2017 2B Ryan Brett assigned to Durham Bulls from Charlotte Stone Crabs. May 5, 2017 Durham Bulls sent 2B Ryan Brett on a rehab assignment to Charlotte Stone Crabs. April 4, 2017 Durham Bulls placed 2B Ryan Brett on the 7-day disabled list. December 28, 2016 2B Ryan Brett assigned to Durham Bulls. December 22, 2016 Tampa Bay Rays signed free agent 2B Ryan Brett to a minor league contract and invited him to spring training. December 2, 2016 2B Ryan Brett elected free agency. October 2, 2016 Tampa Bay Rays recalled 2B Ryan Brett from Durham Bulls. September 6, 2016 Durham Bulls activated 2B Ryan Brett from the 7-day disabled list. April 7, 2016 2B Ryan Brett assigned to Durham Bulls. March 15, 2016 Tampa Bay Rays optioned 2B Ryan Brett to Durham Bulls. October 5, 2015 Tampa Bay Rays recalled Ryan Brett from Durham Bulls. May 28, 2015 Tampa Bay Rays optioned 2B Ryan Brett to Durham Bulls. May 26, 2015 Tampa Bay Rays sent 2B Ryan Brett on a rehab assignment to Durham Bulls. May 24, 2015 Tampa Bay Rays sent 2B Ryan Brett on a rehab assignment to Charlotte Stone Crabs. April 22, 2015 Ryan Brett roster status changed by Tampa Bay Rays. April 17, 2015 Tampa Bay Rays recalled 2B Ryan Brett from Durham Bulls. March 16, 2015 Tampa Bay Rays optioned 2B Ryan Brett to Durham Bulls. November 20, 2014 Tampa Bay Rays selected the contract of Ryan Brett from Montgomery Biscuits. August 10, 2014 Montgomery Biscuits activated 2B Ryan Brett from the 7-day disabled list. July 26, 2014 Montgomery Biscuits placed 2B Ryan Brett on the 7-day disabled list. August 3, 2013 2B Ryan Brett assigned to Montgomery Biscuits from Charlotte Stone Crabs. June 25, 2013 Ryan Brett roster status changed by Charlotte Stone Crabs. June 24, 2013 Charlotte Stone Crabs sent 2B Ryan Brett on a rehab assignment to GCL Rays. June 12, 2013 Charlotte Stone Crabs placed 2B Ryan Brett on the 7-day disabled list. May 17, 2013 2B Ryan Brett assigned to Charlotte Stone Crabs from Bowling Green Hot Rods. August 23, 2012 Ryan Brett roster status changed by Bowling Green Hot Rods. April 4, 2012 SS Ryan Brett assigned to Bowling Green Hot Rods from Princeton Rays. June 17, 2011 Ryan Brett assigned to Princeton Rays from GCL Rays. July 15, 2010 Ryan Brett assigned to GCL Rays from Tampa Bay Rays. July 14, 2010 Tampa Bay Rays signed SS Ryan Brett.